Printer Set-up $29.00 / per design with client provided image. Printing Application $0.45 / per macaron. 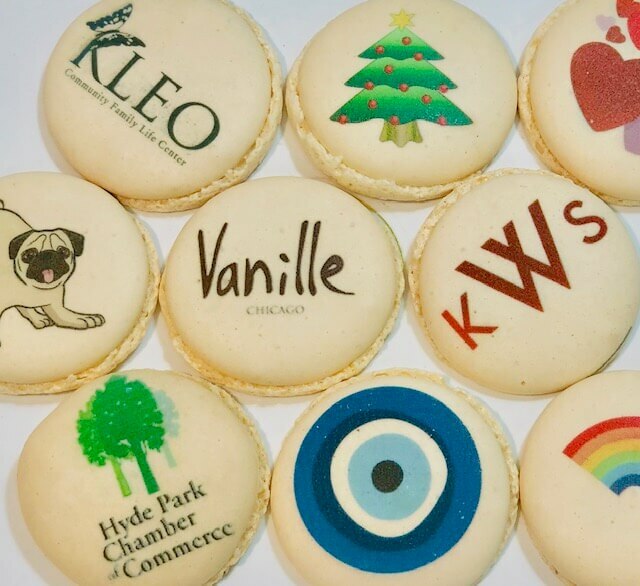 Call (773)-868-4574 or email info@vanillepatisserie.com to discuss your custom printed macaron ideas, and review your artwork.